Just when I am tempted to feel sad about the end of summer, I look around me to see the vibrant hues of reds, yellows, and purples, and I am filled with joy. While the blooms of summer are winding down, the flowers of fall are just getting started. Some flowers, like sunflowers and chrysanthemums, are well-known fall flowers; however, there are several others that probably never crossed your mind. Most of these fall flowers make excellent cut flowers in addition to livening up the garden at the end of the season. Everywhere I look right now, I see these beautiful pink, purple, and white daisy-like flowers. 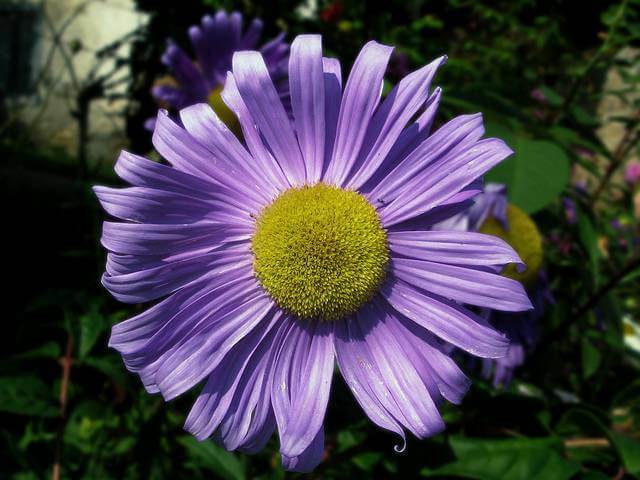 The word “aster” means “star,” and indeed, asters are some of the stars of the fall garden. Asters can be as small as eight inches tall, or they can reach up to eight feet. They bloom until frost and are a great food source for butterflies. Pinch plants back to keep them from getting leggy, and stake taller varieties. I can’t mention fall flowers without mentioning chrysanthemums; now is the time they are appearing in all of the big-box stores and garden centers. If you plan to plant chrysanthemums in the garden, please make sure that you are choosing varieties that are winter-hardy in your area and that you are planting them at least six weeks before the first hard frost to give them time to get established. 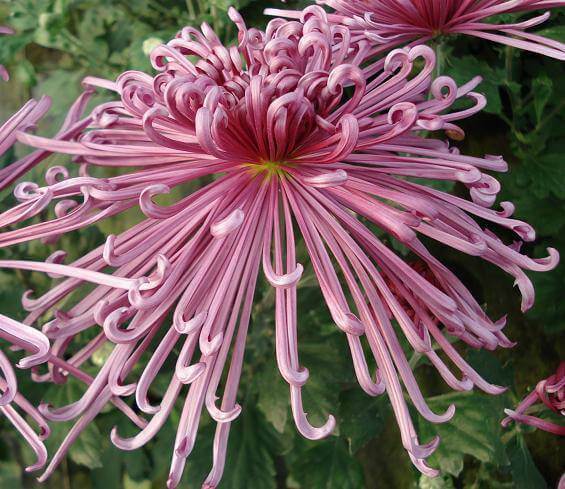 If you don’t have room or time for a garden, you can still enjoy the beauty of these fall flowers; chrysanthemums are extremely popular cut flowers, and florists carry exotic varieties of them that you may not be able to grow in your garden. Why not enjoy them in a fall arrangement? Chances are good that when you think of sunflowers, you think of the huge annual types. 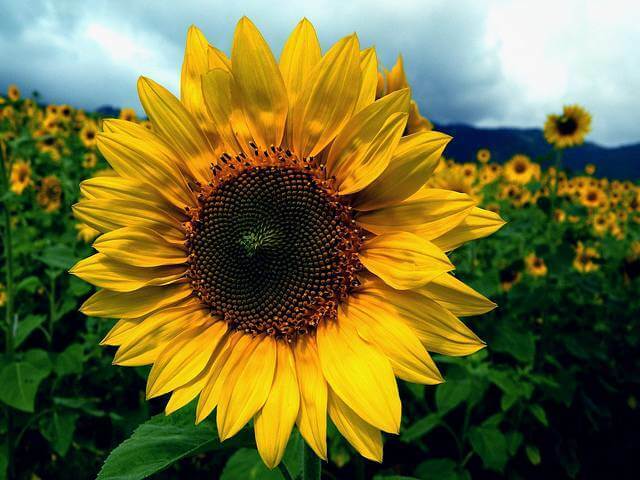 However, sunflowers come in many sizes and colors, and there are perennial varieties as well. Most of them flourish in fall and make great cut flowers for fall bouquets. For something different, try Helianthus annuus, “Starburst Lemon Aura,” which has double, four-inch, lemon-yellow flowers. It is also pollen-free, which is great for allergy sufferers. 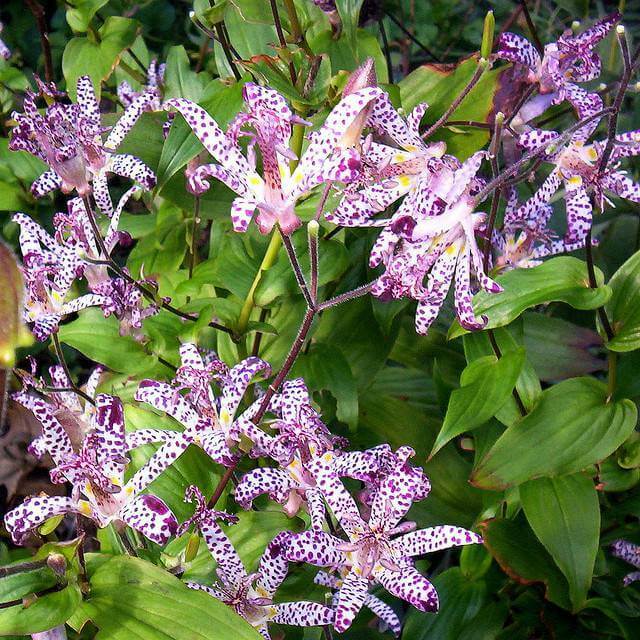 Toad lilies sound too good to be true; the beautiful spotted, orchid-like flowers bloom in shade and in autumn. Keep toad lilies in moist, well-drained soil in a shady location and they will reward you with numerous quarter-sized flowers that bloom well into fall. The exotic flowers are stunning as cut flowers. It is easy to see how this flower earned its common name: The blooms do indeed resemble turtle heads peeking out of deep green, toothed foliage. 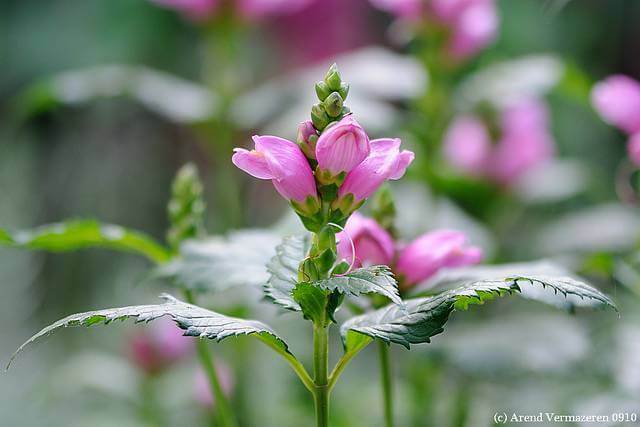 Turtlehead should be planted in a partly shady location in rich, moist soil for best growth. 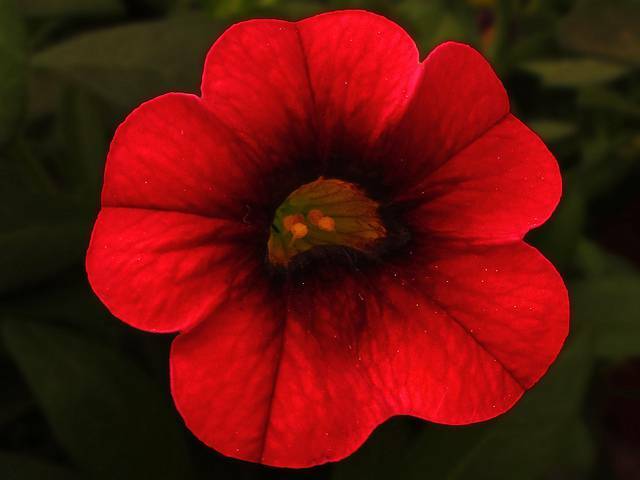 Flowers can be pink, white, or red and will last a week as cut flowers; harvest them when the top flowers are closed. Another advantage to growing these plants is that they are deer-resistant. 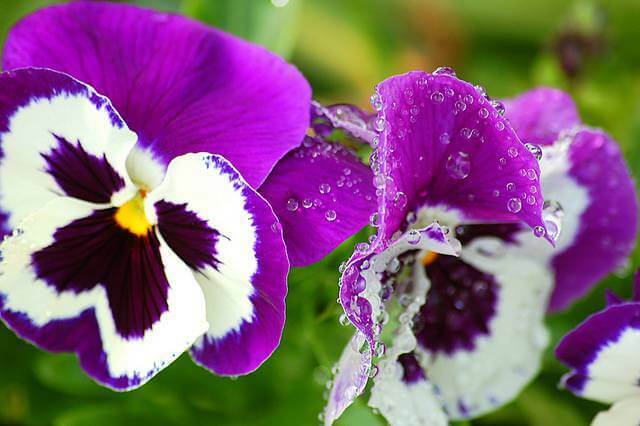 Pansies may be a commonly used flower, but that doesn’t make them any less amazing to me. These colorful annuals will last until it snows, when everything else has died; some newer varieties can even live in the snow! To top it off, pansies are edible, so you can add some to your salad for color as long as they are free of any dangerous chemicals. Million bells is another colorful annual that blooms until frost, and some varieties are even hardy to 25 degrees. The blooms look like tiny little petunias and come in a rainbow of colors, and their trailing habit makes them wonderful for containers. Plant them in pumpkins or gourds for fall arrangements outdoors, or pair them with ornamental kale in containers. So many sedums, so little space! That is my motto here in the city. Sure, we have all heard of Sedum “Autumn Joy,” but there are so many more and a number of them bloom in fall. 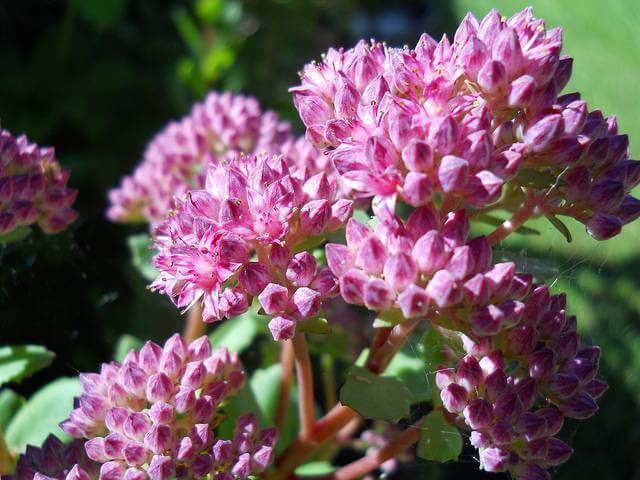 Sedums can have all different heights, habits, and foliage types, not to mention the wide variety of flowers. They are easy to care for and drought-tolerant, plus they are a great food source for wildlife. “Autumn Charm” is another fall-bloomer to try; it features white-edged foliage and rose pink flowers in fall.